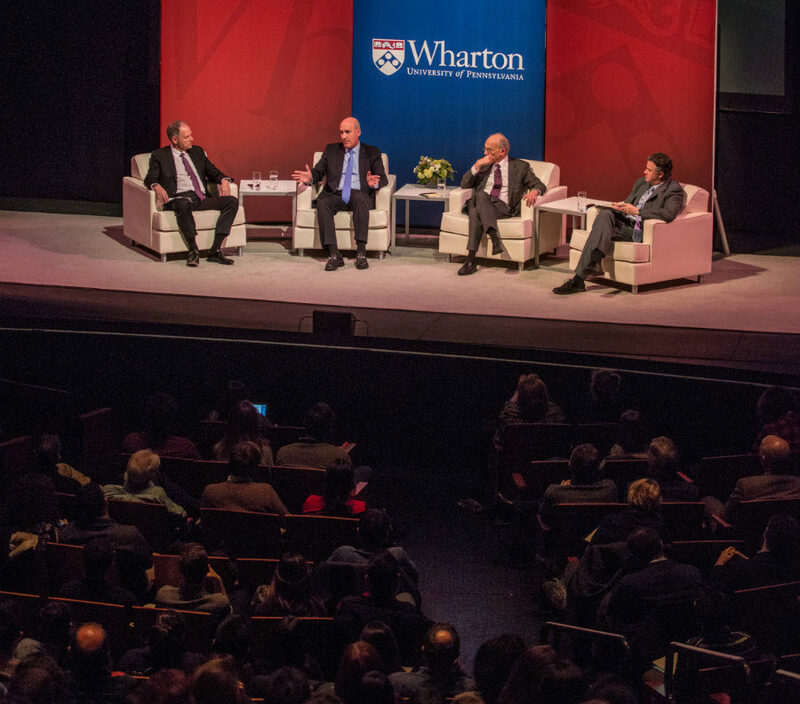 On Tuesday, January 31, an audience of students, faculty, and community members crowded into Annenberg Center’s Zellerbach Theater to hear a panel of distinguished Wharton professors discuss the potential impact of President Trump’s financial policies on the domestic and global economy. It was the first time Wharton faculty have commented on the new administration’s policies. This panel is part of the Tarnopol Lecture Series. 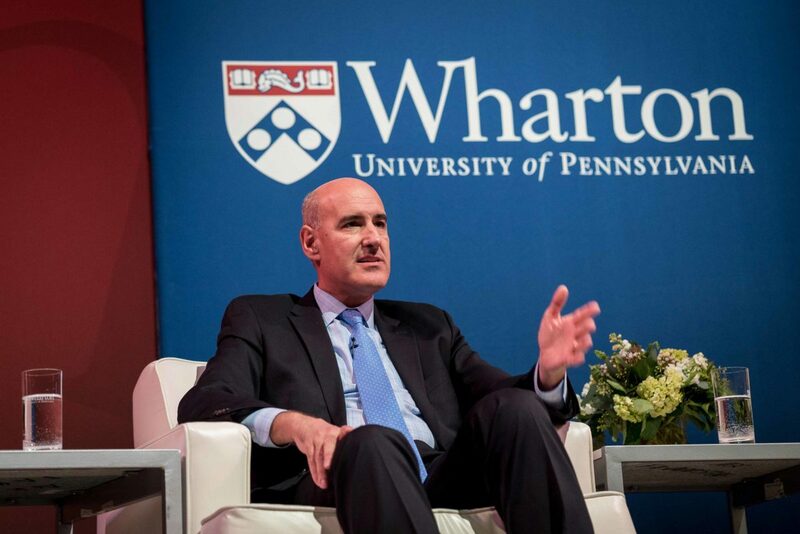 “In a world of fake news, alternative facts, ‘truthiness,’ where the currency seems to be ever more outrage, what we all want to do is to be Wharton. That means to be authoritative, to be analytical, and to back up opinions with facts and analysis,” he said. Dean Garrett was joined by Professor of Management and Director of the Joseph H. Lauder Institute, Mauro Guillen, an expert on globalization and multinational management; Jeremy Siegel, the Russell E. Palmer Professor of Finance, an expert on macroeconomics and market analysis; and Boettner Professor of Business Economics and Public Policy, Kent Smetters, the former Deputy Assistant Secretary of the U.S. Department of the Treasury. The Market Surges. Will It Hold? Siegel took Dean Garrett’s first question: “Why do the markets like Trump?” On January 25, seemingly in response to Trump’s inauguration, the DOW broke 20,000 for the first time in history. Siegel proposed three factors to account for the surge: “Investors and businesses very much like the Republican agenda. Notice, I didn’t say the Trump agenda,” he said. “Why do they like the Republican agenda? Lower corporate taxes, less regulation, lower taxes on interest and dividend income. All that is very, very good for investors.” He speculated that if lower taxes and deregulation come to pass, the markets could enjoy significant gains. The question of the new administration’s relationship to international trade segued into a broader consideration of globalism’s future in light of the shift toward protectionist policies they have promised. 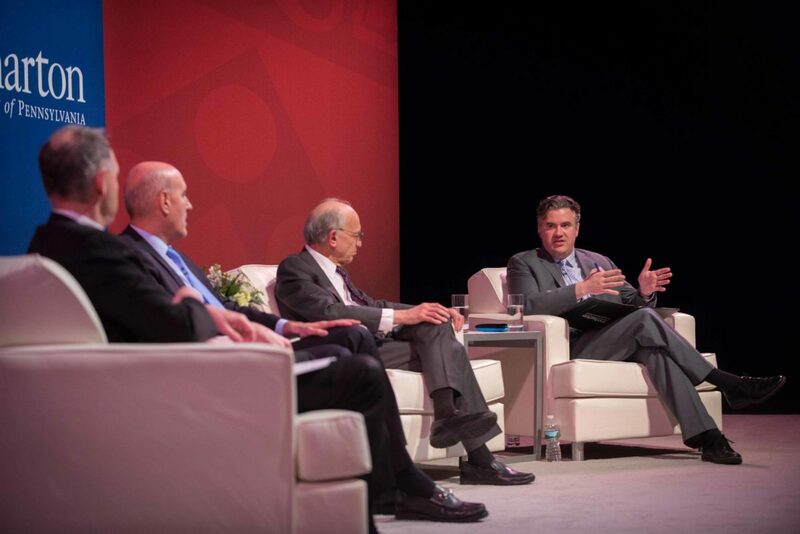 The Dean noted that whether protectionism will help or hurt the economy depends on where you look. “We have to consider the distributive effects,” he explained. Consumers, for instance, will lose out if the White House imposes tariffs on imports, facing higher prices at retailers that import foreign products. On the other hand, those same tariffs could prove a major win for domestic manufacturing. Siegel suggested that protectionist policies would indeed be a boon for domestic manufacturing in the short term but was more skeptical about the long-term benefits. Siegel also noted, however, that Trump might look to tariffs as a stepping stone to better trade deals, which would be a significant gain for both domestic consumers and producers. On the topic of labor, the panel noted that workers could win big if tariffs incentivize manufacturers to return to the U.S. But as Siegel pointed out, that might not be the case. “If we impose protectionist taxes on Mexico, we’d still have to deal with imports from China. It wouldn’t necessarily force producers to come back,” he said. Immigration restrictions and deportation, two labor policy proposals floated frequently by the President during his campaign, also came up. 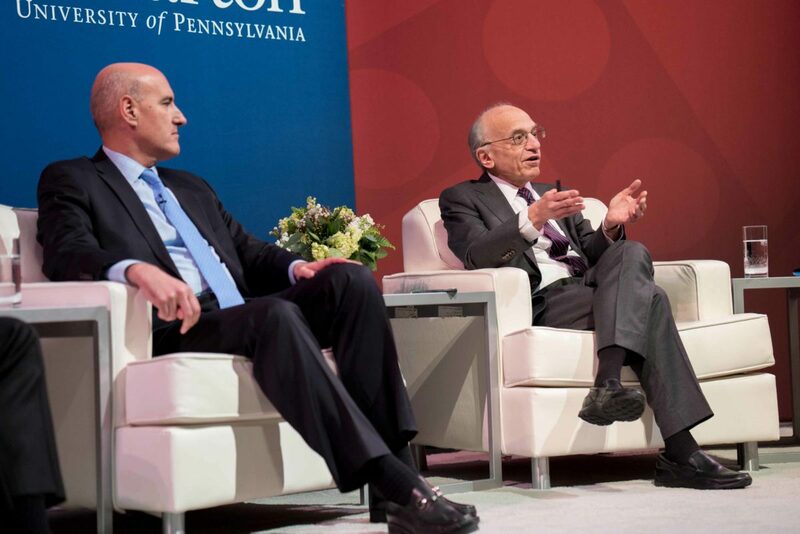 Smetters, drawing on his studies with the Penn Wharton Budget Model, argued that the jobs done by undocumented immigrants would not likely be taken up by legal residents. “Given a scenario in which 10 percent of the undocumented population is deported annually, the assumption is that those jobs would be picked up by native-born workers and that’s just simply not empirically true,” he said. “When you deport undocumented workers, those [typically low-skilled] jobs aren’t replaced by native-born workers” but by automation. While undocumented workers do consume social services, Smetters went to explain that contrary to popular opinion, they also pay taxes in the form of sales tax and income tax (in the case of non-citizens who have a social security number). Guillen said immigration overall drives innovation, noting that roughly 24 percent of all tech ventures in the U.S. launched in the past two decades were founded by immigrants. Guillen’s long-term perspective came in response to an emergent consensus among the professors on the immediate impact of the administration’s policies: uncertainty. The Dean concluded the talk by acknowledging Wharton — its education and its research — were more valuable than ever in uncertain times. For highlights from the Tarnopol Lecture, check out our YouTube playlist to view clips of the speakers and the Dean.